These instruments are in stock and available without the custom-build lead time. Please contact me by email for pricing. 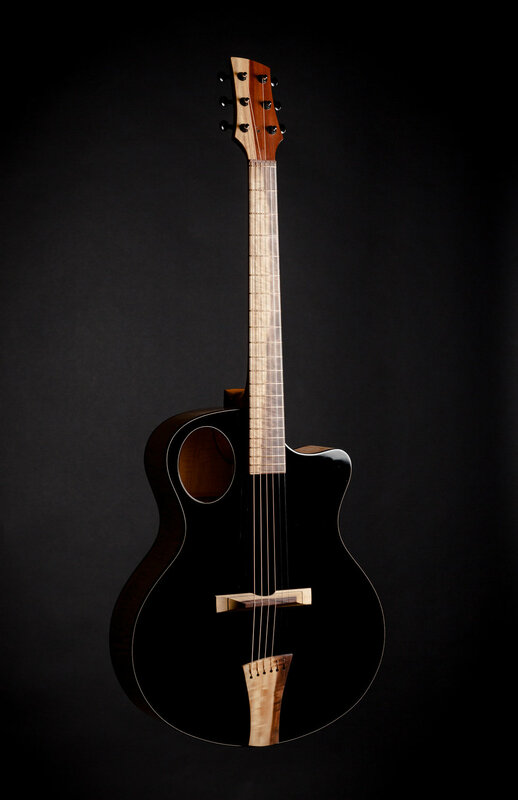 This Auriole 16.5” guitar is built using one of my favorite materials - African Wenge. The back, sides, fingerboard, bridge, tailpiece, binding and trim are all made from wenge, which I feel rivals the best rosewoods both tonally and visually. 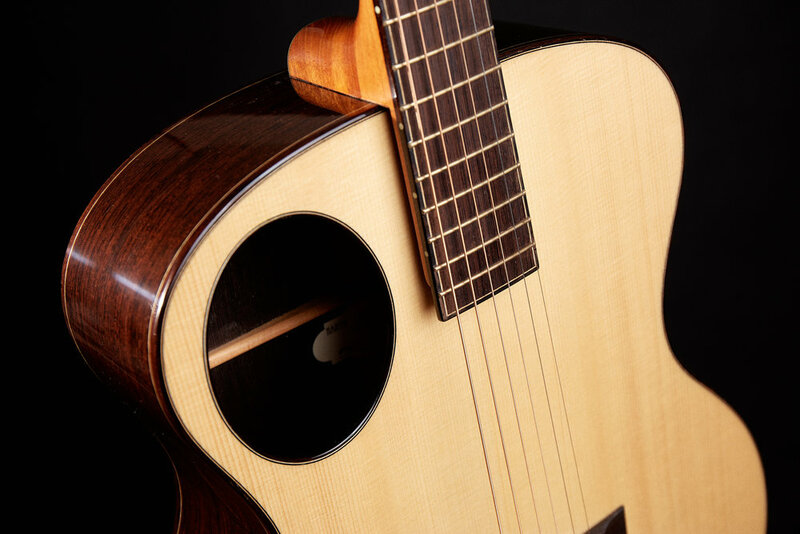 The top is a clean and tight-grained set of Engelmann Spruce, with a wide lattice bracing pattern and an offset soundhole. This guitar has a rich, complex character - spacious, airy bass that evokes a D-style flattop, alongside the quick, lively response of a vintage archtop. This would be an excellent instrument for the solo fingerstyle performer, rhythm player, or small ensemble guitarist. 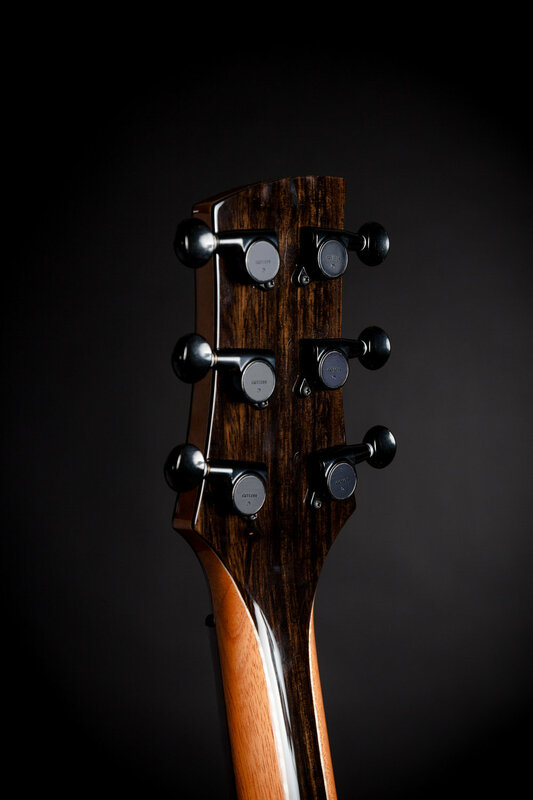 This Auriole guitar pairs a striking black-finished Sitka Spruce top with the natural beauty of curly Eastern Rock Maple, trimmed in black ebony. 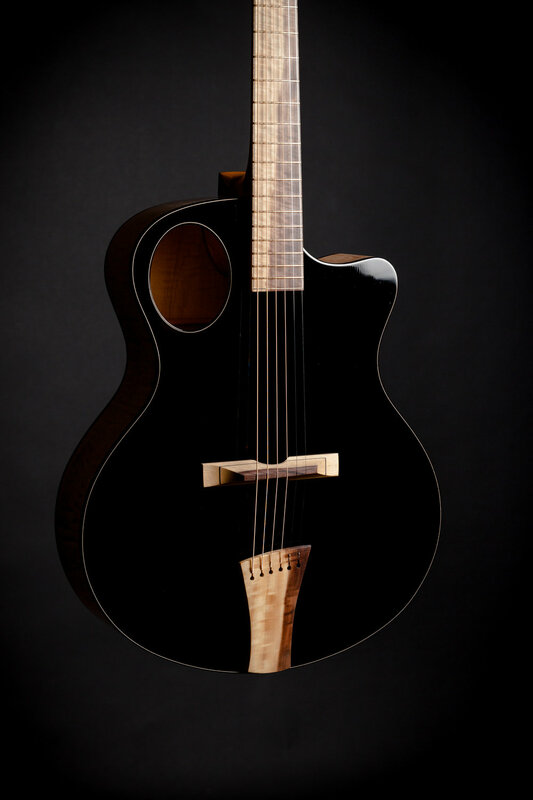 The fingerboard, bridge and tailpiece are Katalox (aka Royal Ebony), a resonant Mexican hardwood that can sometimes be found with deep beeswing curl figure and contrasting stripes of color. Voiced for a precise and articulate response, this guitar would be a great choice for the jazz guitarist who needs a clean, well-defined tonal personality with excellent note separation, and that sits well in an ensemble.